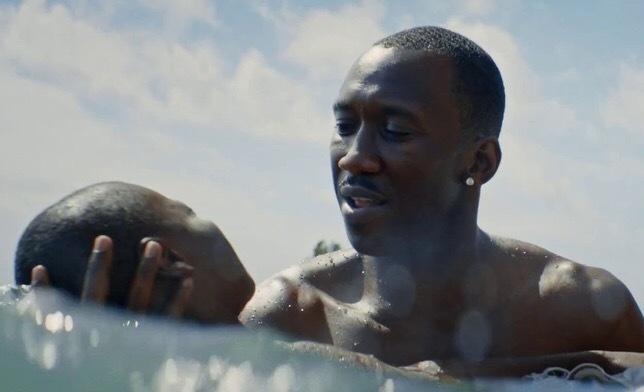 In the age of Black Lives Matter and #OscarSoWhite, hope for inclusive storytelling can be found in films such as Barry Jenkins’ extraordinary Moonlight. 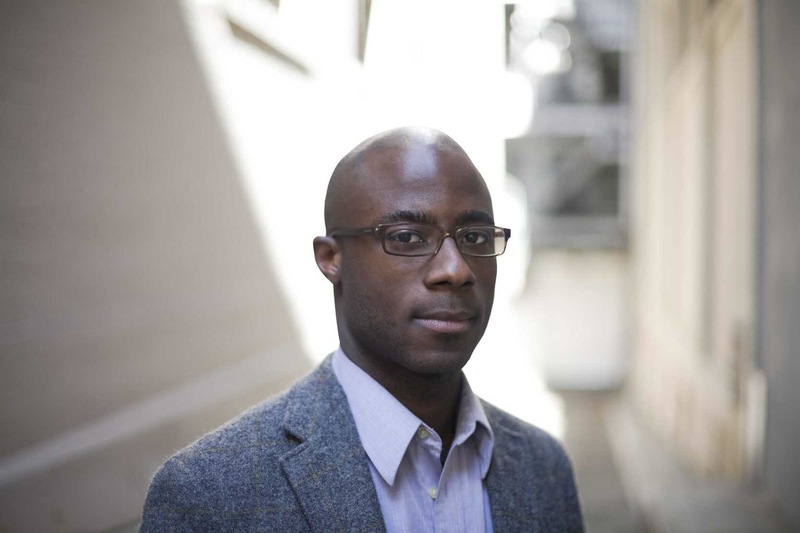 Adapted from playwright Tarell Alvin McCraney’s play, “In Moonlight Black Boys Look Blue,” Barry Jenkins’s second feature is a deeply nuanced, multi-layered examination of race, class, masculinity and sexuality. Mahershala Ali and Alex Hibbert. Moonlight tells the story of Chiron, achingly portrayed in three stages by Alex Hibbert, Ashton Sanders and Trevante Rhodes as he grows up in South Florida. 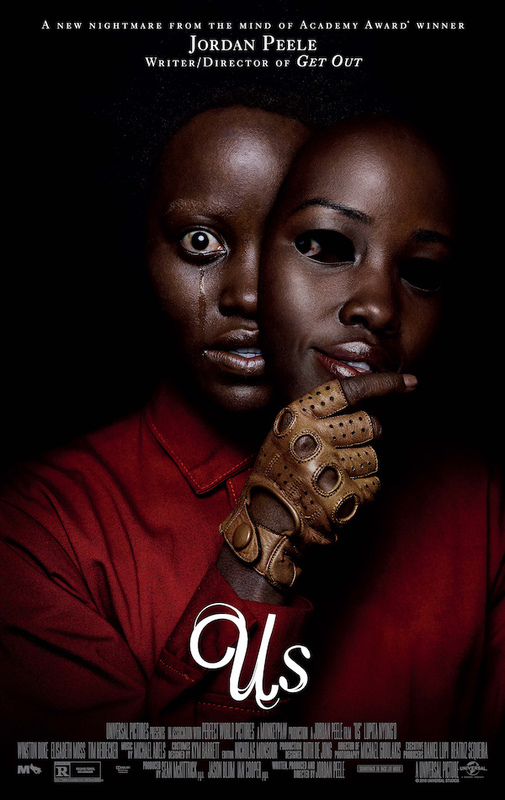 Targeted by neighborhood bullies who think he’s gay and neglected by a drug addicted mother, Paula (played with raw intensity by Naomie Harris), Chiron creates a pseudo-nuclear family with Juan (the excellent Mahershala Ali), a drug dealer and Juan’s girlfriend, Teresa (Janelle Monae, poignant). At first, Juan and Teresa seem unrealistic and too perfect. But Jenkins brilliantly uses Paula to expose the flaws in Chiron’s new “family.” In a key moment, Paula rages at Juan’s hypocrisy for calling her out for her poor treatment of Chiron (referred to as Little in the first part of the film) while selling Paula the drugs that feed her addiction. Another key relationship in Chiron’s life is his friendship with Kevin, played by Jaden Piner, Jharrel Jerome, and Andre Holland, each of whom captures the character’s clueless charm. Kevin’s guileless support is crucial to Chiron’s development in each of the three stages: challenging “Little” to stand up to the bullies, betraying the teenage Chiron after a night of intimacy, and offering an adult Chiron (known as Black) an opportunity to be himself. Jenkins’s graceful, controlled direction and intelligent script guide us through this not-so-gentle coming-of-age tale. Instead of telling, Jenkins shows. Cinematographer James Laxton shoots with long, hypnotic takes and dreamlike, fluid, handheld camera work. The film revels in long, almost agonizing silences, as well as a lead who barely speaks, his mouth often twisted in frustration. Race, class and sexuality are major themes, but without preachy messages. Instead, the film shows Chiron’s limited options and asks why we should help a child to overcome them. MOONLIGHT is now playing in theaters. Use Fandango below for schedule. Posted in Entertainment and tagged academy awards, alex hibbert, ashton sanders, barry jenkins, black lives matter, Entertainment, film, film review, in moonlight black boys look blue, jaden piner, james laxton, janelle monae, jharrel jerome, mahershala ali, moonlight, Movie, movie review, naomie harris, oscars, oscars so white, playwright, tarell alvin mccraney, trevante rhodes. Bookmark the permalink.